A new trailer has been released for Seven, the direct-control, isometric thief ’em up from ex-Witcher 3 developers, and it looks like it could be a winner. I’ve always wanted to get into isometric RPGs, but there’s something about clicking to move that I find really unsatisfying. I’ve tried Pillars of Eternity, and even though I’m massively into narrative-driven RPGs with a ton of choice, I just can’t enjoy it with that control system. I look longingly at Tyranny-Obsidian’s upcoming RPG where you play as the bad guys – because I think it sounds incredible, but then I remember it will control exactly like Pillars of Eternity and I shudder. I know, I’m a weirdo. 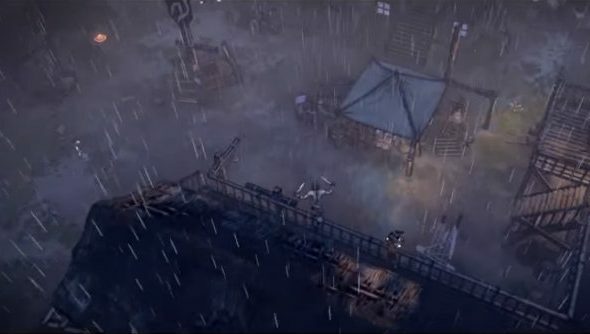 Seven could finally be the isometric RPG that pulls me in. Best played with a pad, it takes the isometric RPG and blends it with action elements like free-running, stealth and quickly stabbing unsuspecting folk in the neck with dual daggers. That’s my jam. Did I mention it was made by ex-Witcher 3 devs? Our Jeremy spoke to the developers of Sevenrecently, so do give that a read.